The rare book of Labbad: Nazar One, which means look or view in Arabic. 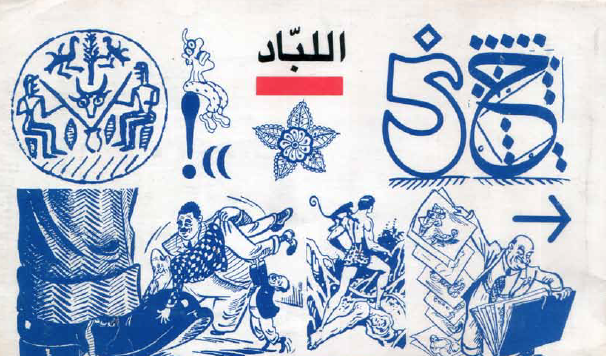 Nazar books were basically a collection of Labbad articles in some Egyptians magazines like Sabah El Khair. The book was printed in March 1987, then issued again as Nazar Two and Nazar Three during the nineties..
As you’ll notice, the book is really important, it might be the only material that talks about and critiques design, art, graphic design and visual culture in Egypt and the Arab world. The book was scanned and prepared by Mohammad Sabbagh and Hussein Alazaat for the Labbad tumblr page.